I used to stop at Mel's in the city (Lombard St) when I worked at SFAI. They serve you too much and I ate most of it every time. Pure comfort food! 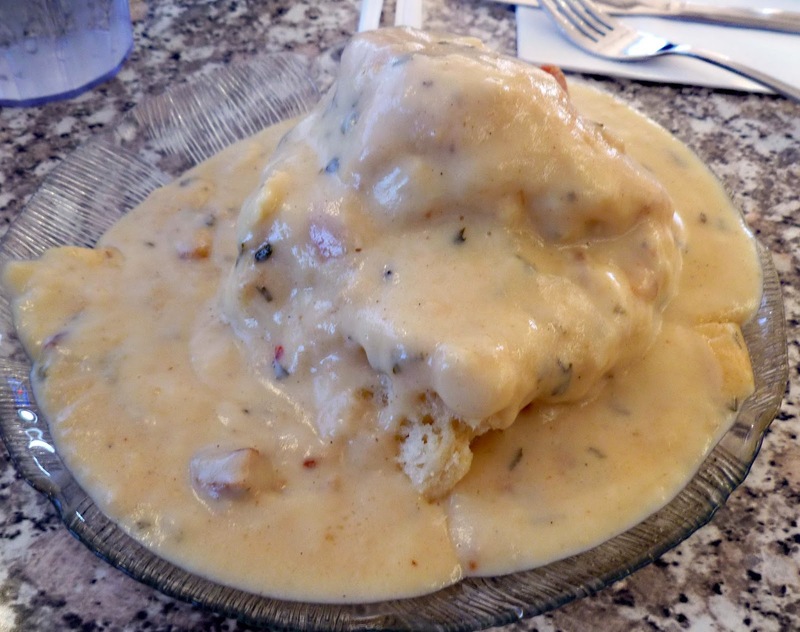 Just the mention of that biscuit and gravy made me instantly hungry. Zoomie, There ware no leftovers on our plate. Comfort food that fills the bill. 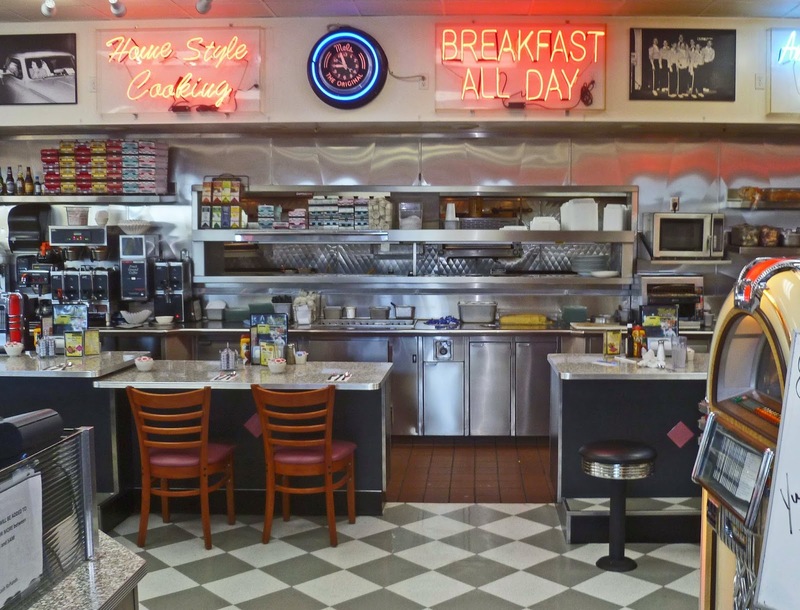 Three Dogs BBQ, You cannot beat good biscuits and gravy. It is a simple dish but all the components need to on:fresh hot biscuits, and tasty gravy. It is all about the gravy, Mang. Lea Ann, I still am shaking from that Monday night clinic that Elway's army executed on the field of battle. We will have another chance but my hopes are not high for victory. Thanks for not rubbing it in. That is some good looking food. 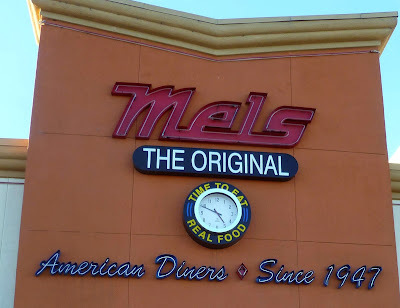 I've been to the Mel's in Reno and had a very good experience. 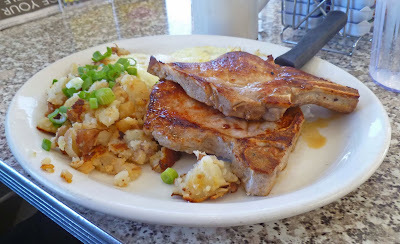 Good food and large portions. The whole meal looks good and especially the gravy biscuit. Greg, A nap may be required after consuming one of these tasty breakfasts. Big Dude, Its all about the gravy. This gravy and fresh biscuit was a star. When I drive by I am tempted to run in a grab a snack of a biscuit and gravy. It is a good thing I have some restraint. That biscuit looks fantastic. I love buttermilk biscuits and sausage gravy.